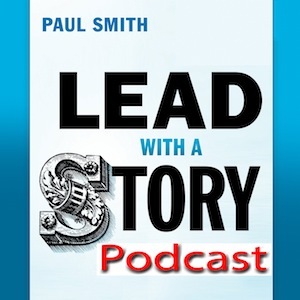 Lead with a Story Podcast Series: Lessons in Leadership, one story at a time Based on interviews with 100+ executives and leaders at dozens of successful companies around the world as they learned their most important leadership lessons - sometimes the hard way. Featuring stories from executives at Procter & Gamble, Dollar General, Hewlett Packard, Kellogg's, Dun & Bradstreet, Saatchi & Saatchi, Verizon, and many more. Each episode brings you an important lesson through a single compelling story. Click to subscribe on iTunes, Stitcher, or Podbean. Getting Personal at Work: Good Idea or Bad Idea? Don’t tell me to “think outside the box.” Give me a bigger box! Here’s how. . .